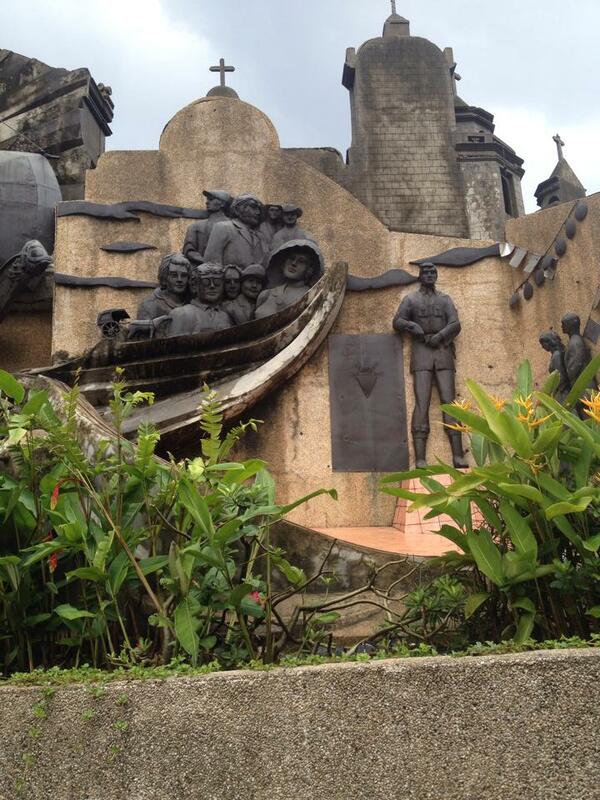 One of the more modern reminders to Cebu's rich cultural heritage and history is the Heritage of Cebu Monument. The monument is built on the original Plaza Parian. The Parian district used to be the center of trade and culture in Spanish-era Cebu City. Parian is also Cebu's old Chinatown district. It is where Chinese traders abound in the past. The idea for the memorial was conceptualized by Eduardo Castrillo, a multi-awarded sculptor. The monument was constructed between 1997 and 2000. Inauguration was done on 8 December 2000. The Heritageof Cebu Monument is a mammoth structure. 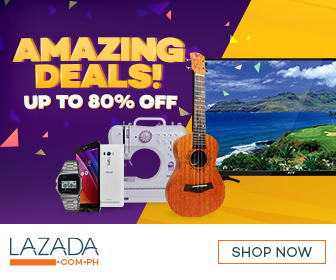 It depicts several significant events in the very rich history of the Philippines' oldest city and nearby. These events are the Battle of Mactan, the conversion of Rajah Humabon from paganism to Christianity, and the local revolt against Spanish colonial rule. It also portrays the Cebuano's deep reverence and veneration to the holy image of the Sto. Nino and the beatification of the second Filipino saint San Pedro Calungsod. There are also other elements. Cebu's Grand Old Man and former president of the Philippines Sergio Osmena Sr. is remembered. There is a Roman Catholic holy mass portrayed. The galleon trade between Mexico and the Philippines is also part of the monument. Don Sergio Osmeña Sr. is the Grand Old Man of Cebu. He is the first president of the Philippines that came from the Visayas and Mindanao. His September 9th birthday is celebrated as a holiday in the entire province of Cebu. Cebuanos have a deep devotion to the Señor Santo Niño. The world-famous Sinulog Festival in January is dedicated to the Holy Infant. The Basilica Minore del Sto. Niño is also the oldest Roman Catholic parish in the Philippines. San Pedro Calungsod is the second Filipino to be beatified as a saint by the Roman Catholic Church. The first was San Lorenzo Ruiz. Calungsod is widely accepted as a Cebuano from the southern town of Ginatilan. There are claims that he comes from Iloilo or other places in the Visayas as well. He is known to have done some missionary work in Guam where he died as a martyr. Cebuanos revolted against Spanish rule in the late 1890's. There is even an account that the Spanish actually granted sovereignty to Cebu and the Visayas ahead of Luzon. Key historical figures in Cebu are General Arcadio Maxilom and Pantaleon Villegas. Most Cebuanos belong to the Roman Catholic faith. 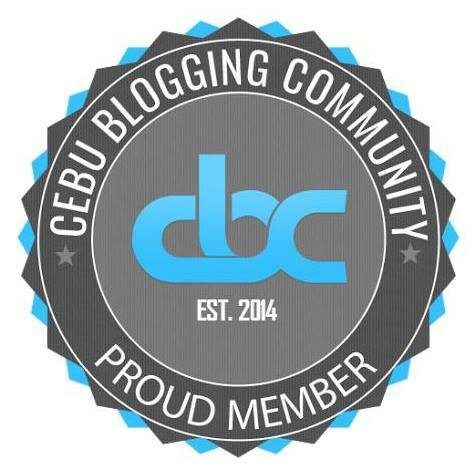 After all, Cebu is the birthplace of Christianity in Asia. Ferdinand Magellan Christianized Rajah Humabon and his followers in 1521. The Galleon Trade in the 1500's to the 1800's was largely between Manila and Acapulco, Mexico. But Cebu was also part of that trade. 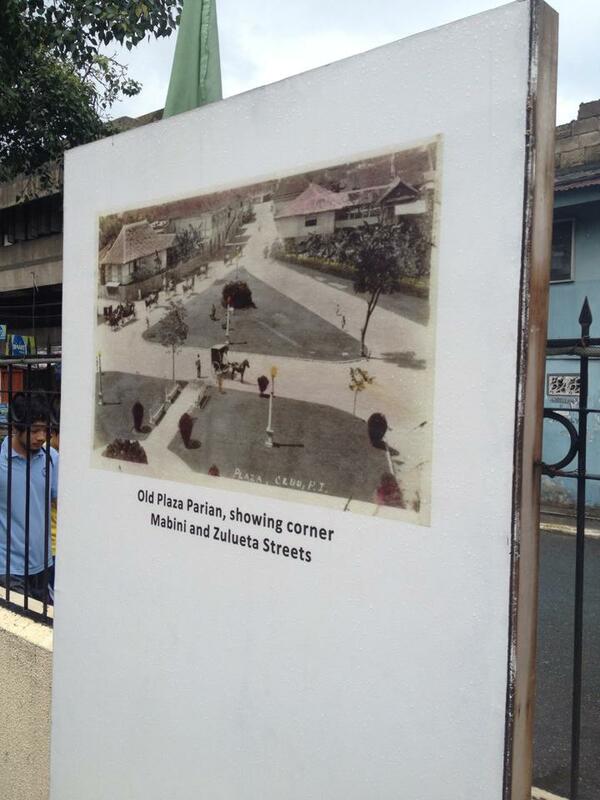 Photos of the area around the Old Plaza Parian are reprinted on tarpaulins. These posters are displayed on the fence that surround the Heritage of Cebu Monument. 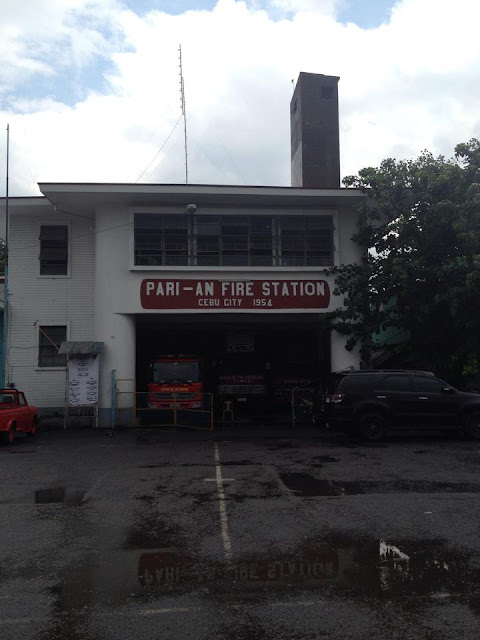 Right beside the monument is the Parian Fire Station. The fire station was built in 1954. It is built on the foundations of the old Parian church. 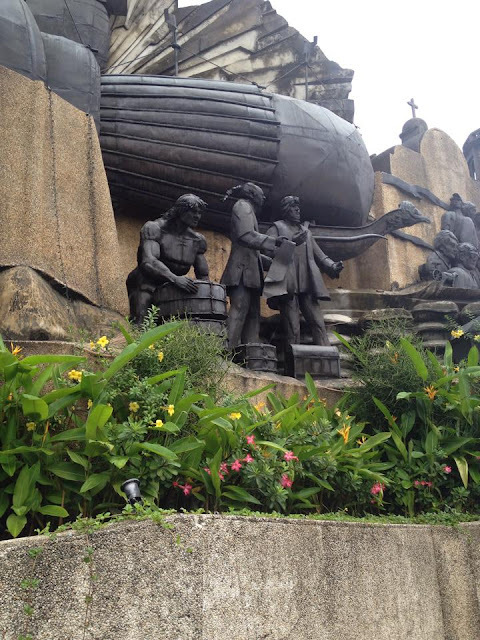 Have you bee to the Heritage of Cebu Monument in Cebu City? What are your thoughts about it? Let us know in the comments below. The thing I like the most about this place is that it tells a story which young generation may have forgot. Thanks for sharing! I pass by this place a lot yet I don't know anything about it. Thanks for sharing! now that I work downtown, I get to appreciate the rustic feel of this part of the city. On a not so humid day, I might do my own walk about. Its close to sandiego yap ancestral house.. the last time I visited parian was 2 yrs ago.. Im always amazed with the beautiful heritage places we have beautiful here in Cebu.. This monument has always made my jaw drop in awe and amazement! It's a beautiful art and a historic masterpiece as well. I always bring my relatives here every time they visit Cebu. I will certainly visit this place soon. Daghana jud diay interesting nga lugar dris Cebu. Sayang noh, some places weren't preserved well. True, and I hope this helps the younger generation appreciate the past even more. Now you know, haha. Parian used to be the center of trade and culture in Cebu. There's actually a lot of places in Cebu that seem ordinary but is of great heritage value. There's a lotta history to discover that part of the city. Yup, very near Yap-Sandiego house. This one's built on the old Plaza Parian. Yup, a lot of heritage places as well as natural beauty too. Truly a great marriage of art and heritage! Looking back is always necessary to move forward with a good heart. I always want to stop by here when I am driving but I never get the chance. I might take a selfie here during the Sinulog week. Back when I lived around the Pari-an area, I would always take a second to look and marvel at the monument. It really serves a great purpose in commemorating the Cebuano form of art and heritage. Na amaze jud ko ani bisag sauna pa, hangtod karun! 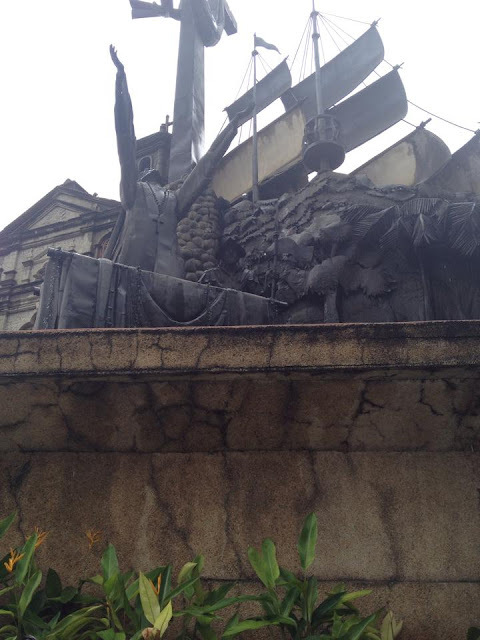 I mean nindot kaayo siya nga landmark gud plus it symbolizes pajud sa atong heritage! It looks like an ordinary place ra noh? 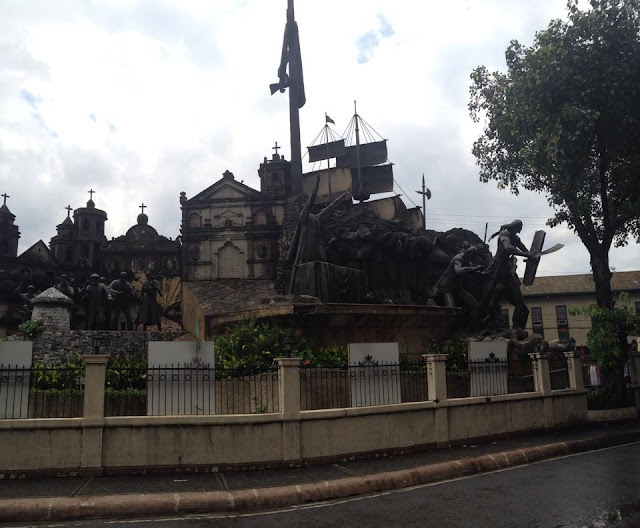 But where that monument stands is the Old Parian Plaza dating back to the Spanish colonial era. True that. It is important to learn lessons from the past, not necessarily dwell on it. I got the chance to drop by here when I attended the Mega Cebu kickoff then again when I read about that Bisita sa Parian event. Otherwise, this is a part of the city I seldom visit. I can't help but marvel about this masterpiece too! It's just huge and I always wonder at the work it took to build this to be truly representing the heritage of Cebu. True that, amazing and truly representative of Cebuano heritage. I also hope they do more preserving the heritage in this area especially estero de parian and that 1920 bridge nearby. This is a Cebu heritage that should not be known in vain. The surrounding area bordering this heritage should be secured so tourists will often visit the site even at night.